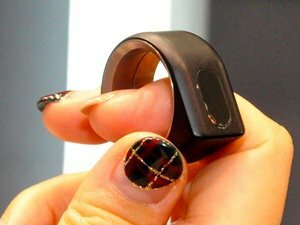 Japanese wearable gadget start-up 16Lab has reduced the size and increased the functionality of its Bluetooth gesture controller ring and plans to put it and a development kit on sale soon. 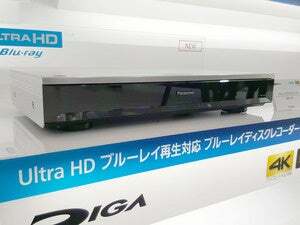 The company unveiled a new version of the device called Ozon on Tuesday at the Ceatec electronics show near Tokyo. Compared to a model shown last year, the new ring is about 30 percent thinner and has wireless charging, but the company still thinks it’s too big for commercialization. 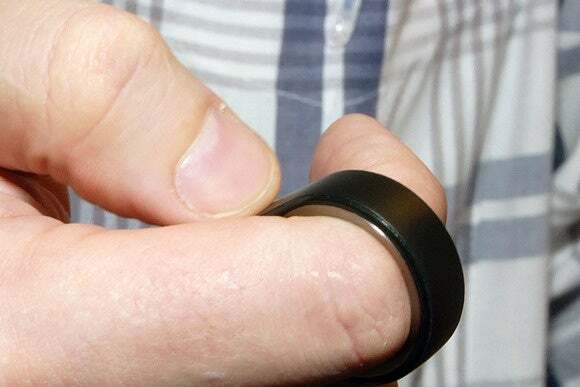 When worn on the finger, the control ring offers joystick like functions via a tiny touchpad on its surface. Combined with data from position sensors, wearers can accomplish up, down, left and right motions and button presses that can be used to control compatible equipment. 16Lab’s Ozon wearable ring is seen during a news conference in Japan on Oct. 6, 2015. 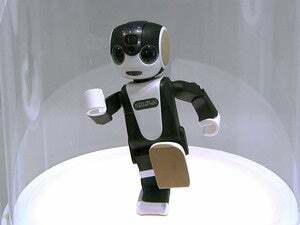 During a demonstration, it was used to manipulate objects on screen in a development Android app and to control a virtual-reality view in a prototype iPhone app. 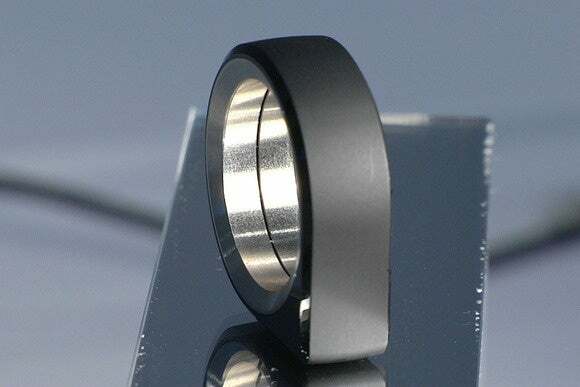 16Lab developed the ring with Alps Electric, a Japanese electronics parts maker, and is now working with Toyota and Yamaha on possible applications. It’s also working with other companies, but it declined to name them. 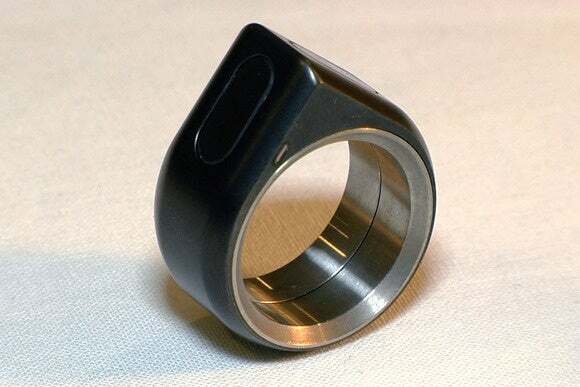 In addition to gesture control, the ring can act as an electronic key to open car or house locks, and paired with a smartphone as a device to alert the wearer to incoming messages and as an electronic wallet. “I feel that wearables are something that are not yet discovered. We don’t know what we can do with it, the use case is yet to be discovered,” said Samuel. 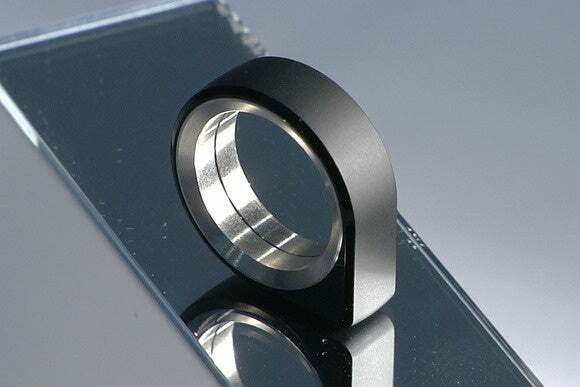 The development kit featuring the ring will go on sale at a date and price to be determined. 16Lab said it wouldn’t be cheap, but it would cost less than a smartphone. The kit will be made available in eight countries and will help companies play around with the ring and come up with interesting uses. For commercial use, the company will have to reduce the price of manufacture in addition to figuring out any useful or killer apps that will drive sales. “Maybe next year, we launch a much smaller version or somehow improved version,” he said.